Confirmed — The major update and enhancement of Star Tours at Disneyland Paris now has a definite opening date, confirmed by the latest refurbishment schedules. Officially named Star Tours: L’Aventure Continue in the Parisian park, the attraction will indeed open (or re-open) on Saturday, 18th March 2017. Update Jan 2017: Disneyland Paris is now officially communicating 26th March as the opening date, to line up with the 25th Anniversary launch, but given this only a week later and most major attractions have at least a week’s “soft opening”, it seems likely the attraction could still actually be open from 18th March as previously announced. Watch this space for further updates. That’s no surprise to those who’ve been following its progress, as this date has been rumoured for some time, but no official publications by Disneyland Paris have yet revealed the date for sure. Now we can say it with certainty. Not wanting to confuse potential visitors with too many dates, only the 26th March 2017 launch date of the 25th Anniversary has been publicly attached to the Discoveryland ride, which will be the most major new addition promoted for the celebrations. This has led to many potential StarSpeeder travellers, who’d like to coincide their visit with its first operating day, questioning exactly when the revitalised attraction will be opened. 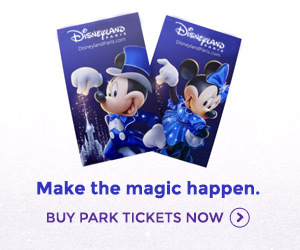 Now you can at last start booking your connecting travel with confidence, to meet that first StarSpeeder 1000 departure from Disneyland Paris! Since the events of Star Wars: Season of the Force don’t conclude until 26th March, it’s clear that the final week of this season will also be a pinnacle for any Star Wars fan. Nearby, Disneyland Railroad Discoveryland Station will re-open on 15th March 2017, having been closed for the duration of the Star Tours transformation. Meanwhile, it’s also now confirmed that the transformation of Space Mountain: Mission 2 into Star Wars Hyperspace Mountain won’t make the launch date of the 25th Anniversary. Officially promoted only for “Spring 2017”, we now know for sure that the questionable Star Wars takeover won’t be opened to guests until sometime in April 2017. But will Space Mountain : Mission Two be open ? Without the Stars Wars transformation? I’m heading to the park from March 16 until the 31 of March and I just need to ride SPM2. Hi Tayllor, unfortunately no – Space Mountain: Mission 2 closes “for good” on 9th January 2017 and the ride won’t re-open until it’s inaugurated as Star Wars Hyperspace Mountain. Hi, I was wondering if there has been any updates on whether or not Hyperspace Mountain will open in April or May, or late May? Thanks for all the updates! Will the buffalo bill show be new for the 25th anniversary?